This is a scalable context timeline. It contains events related to the event After November 20, 2002: CIA Station Chief Involved in Detainee Death Promoted. You can narrow or broaden the context of this timeline by adjusting the zoom level. The lower the scale, the more relevant the items on average will be, while the higher the scale, the less relevant the items, on average, will be. During Michael Scheuer’s time as head of the CIA’s bin Laden unit Alec Station from 1996 to 1999 (see February 1996 and June 1999), the unit has conflicts with other parts of the US intelligence community. Scheuer has an angry and dogmatic style that sometimes alienates people. Conflict with the FBI - The bin Laden unit does not get along with some FBI agents assigned to it as well. 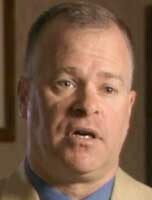 From the very start, some FBI officials, including bin Laden expert John O’Neill, resist cooperating with the unit. CIA official John MacGaffin will later claim, “O’Neill just fought it and fought it [cooperating with Alec Station].” O’Neill and Scheuer “were at each other’s throats.” On one occasion an FBI agent at the bin Laden unit is caught hiding CIA files inside his shirt to take them back to O’Neill. Scheuer will also claim that the FBI rarely follows up leads the bin Laden unit sends it. Furthermore, the FBI never shares information. “I bet we sent 700 or 800 requests for information to the FBI, and we never got an answer to any of them,” Scheuer says. 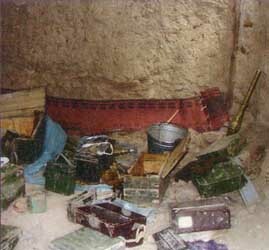 Radios, weapons, and simple supplies in a Tora Bora cave allegedly occupied by al-Qaeda forces. [Source: Confidential source via Robin Moore]According to author Ron Suskind, the CIA continues to press President Bush to send US troops to surround the caves in Tora Bora where bin Laden is believed to be hiding. It is about a 15 square-mile area. The CIA issued similar warnings a few weeks earlier (see Late November 2001). Suskind relates: “A fierce debate was raging inside the upper reaches of the US government. The White House had received a guarantee from [Pakistani President Pervez] Musharraf in November that the Pakistani army would cover the southern pass from the caves (see November 2001). Bush, Cheney, and Rumsfeld felt the Pakistani leader’s assurance was sound. Classified CIA reports passed to Bush in his morning briefings of early December, however, warned that ‘the back door is open’ and that a bare few Pakistani army units were visible gathering near the Pakistani border.… Musharraf, when pressed by the White House, said troop movements were slow, but not to worry-they were on their way.” [Suskind, 2006, pp. 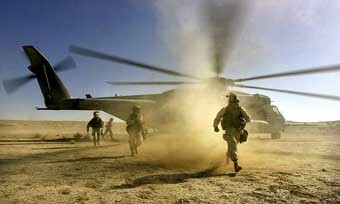 74] But again, no US troops are sent, and Pakistani troops fail to arrive in time. Bin Laden eventually will escape into Pakistan (see Mid-December 2001). Gary Berntsen on an airplane, date and location unknown. [Source: National Geographic]Richard Blee, head of the Sunni Extremist Group at the CIA’s Counterterrorist Center and a former head of Alec Station, the CIA’s bin Laden unit, is made chief of the CIA’s new station in Kabul. Blee replaces Gary Berntsen, who had effectively led the CIA’s war effort against the Taliban and al-Qaeda in Afghanistan. Berntsen is unhappy with being replaced, saying: “It felt as though someone had just thrown a bucket of cold water in my face. 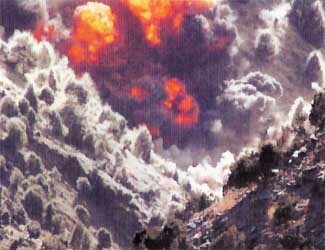 I couldn’t believe they were doing this in the middle of the most important battle of the war.” The battle of Tora Bora begins around this time and, although the US thinks it has Osama bin Laden cornered there, he somehow manages to escape (see November 16, 2001, November 26, 2001 and Early December 2001). Replacement Decision Is Not Well Received - Berntsen’s staff members are also unhappy with the decision, and slap their hands over their heads and groan when they find out about it. They tell Berntsen, “No disrespect to Rich, but when you leave, we leave.” Berntsen will attribute Blee’s selection to his closeness to CIA Director George Tenet and Deputy Director of Operations James Pavitt, and will also hint that Blee strongly desired the job. [Berntsen and Pezzullo, 2005, pp. 296-7, 306] Berntsen pushed hard for US troops to be deployed to catch bin Laden (see Late October-Early December 2001), but it is not known whether Blee is in favor of using US troops or not. Blee will also instigate the transfer of Ibn al-Shaykh al-Libi from the FBI to Egypt shortly after arriving; this is the first such transfer of a major figure after 9/11 (see Shortly After December 19, 2001). Blee's Replacement - Blee is apparently replaced as chief of the Sunni Extremist Group by someone known only as Hendrik V. (see (Between Summer and Winter 2001)). Hendrik V. will later be replaced by an official known as “Marty M.” before March 2003. [Tenet, 2007, pp. 232, 251] That is almost certainly Marty Martin, someone said to lead the search for bin Laden from 2002 to 2004 (see (Shortly After October 29, 2004)). At some point between the middle of 2001 and February 2002, the CIA appoints a new chief of the Sunni Extremist Group, the part of the Counterterrorist Center that is responsible for Alec Station, the CIA’s Osama bin Laden unit. Presumably this occurs in December 2001, when the group’s former head, Richard Blee, is made chief of station in Afghanistan (see December 9, 2001). However, this is not entirely certain. A 2011 book by FBI agent Ali Soufan will refer to the new group chief as “Alvin,” although this is apparently an alias. A 2007 book by former CIA Director George Tenet will refer to the chief as “Hendrik V.,” apparently a version of his real name. Hendrik V. will have been replaced as SEG chief by another official, Marty Martin, by March 2003. [Tenet, 2007, pp. 232, 251; Soufan, 2011, pp. 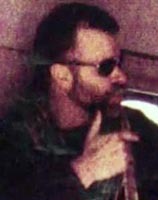 376,548] Hendrik V. previously served at the CIA station in Jordan, where he ignored crucial evidence during the investigation of the Millennium Plot in 1999 (see Late December 1999). Entity Tags: Sunni Extremist Group, Central Intelligence Agency, Hendrik V.
CIA officer Richard Blee, who is now chief of the CIA’s station in Kabul, Afghanistan, objects to the FBI interviewing high-ranking al-Qaeda detainee Ibn al-Shaykh al-Libi. The FBI obtained access to al-Libi after he was handed over to the US, and is obtaining some information from him about Zacarias Moussaoui and Richard Reid, who will be prosecuted in the US (see December 19, 2001). However, according to FBI agent Jack Cloonan, “for some reason, the CIA chief of station in Kabul is taking issue with our approach.” [American Prospect, 6/19/2005] CIA Director George Tenet learns of Blee’s complaints and insists that al-Libi be turned over to the CIA (see January-April 2002), which promptly puts him on a plane to Egypt (see January 2002 and After), where he is tortured and makes false statements (see February 2002). Blee was in charge of the CIA’s bin Laden unit on 9/11 and has only recently become chief of its Kabul station. [Berntsen and Pezzullo, 2005, pp. 59-60, 297] The FBI, which has long experience interviewing suspects, will continue in its attempts to use rapport-building techniques (see Late March through Early June, 2002), whereas the CIA will employ harsher techniques, despite not having much experience with interviews (see Mid-April 2002). Richard Blee, chief of Alec Station, the CIA’s bin Laden unit, was made chief of the CIA’s new Kabul station in December 2001 (see December 9, 2001), where he aggressively expanded the CIA’s extraordinary rendition program (see Shortly After December 19, 2001). Blee was the government’s main briefer on al-Qaeda threats in the summer of 2001, but failed to mention that one of the 9/11 hijackers was in the US (see August 22-September 10, 2001). Dina Corsi, an intelligence operations specialist in the FBI’s bin Laden unit in the run-up to 9/11, later became a supervisory intelligence analyst. [US Department of Justice, 11/2004, pp. 279-280 ; CNN, 7/22/2005] Corsi repeatedly hampered the investigation of Almihdhar and Alhazmi in the summer of 2001 (see June 11, 2001, June 12-September 11, 2001, Before August 22, 2001, August 27-28, 2001, August 28, 2001, August 28-29, 2001, and (September 5, 2001)). President Bush later names Barbara Bodine the director of Central Iraq shortly after the US conquest of Iraq. Many in government are upset about the appointment because of her blocking of the USS Cole investigation, which some say could have uncovered the 9/11 plot (see October 14-Late November, 2000). She did not apologize or admit she was wrong. [Washington Times, 4/10/2003] However, she is fired after about a month, apparently for doing a poor job.